Thirty-nine styrene, six resin and three PE parts. Available from these on-line stockists: Brengun for €7.60, Hannants for £7.49, Modelimex for €7.71, & Hobby Link Japan for ¥1360. Simple kit, good quality components. This type of kit is rare in any scale, and so SAM aficionados are sure to welcome this one. 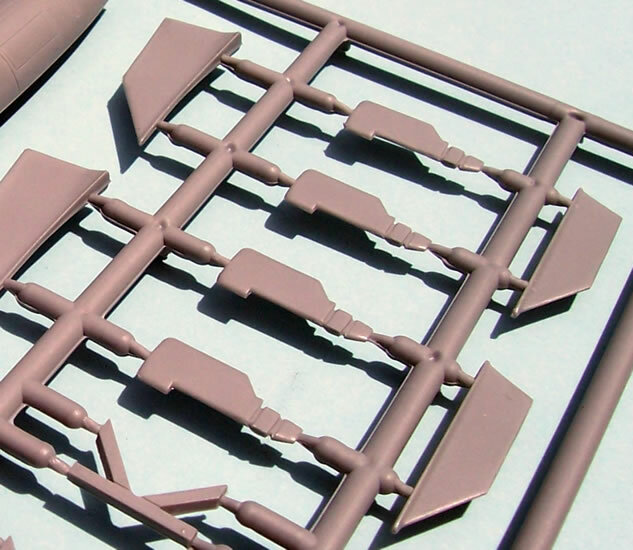 This is Brengun’s second effort at an injection-moulded multi-media kit, and it is a good one. I definitely recommend it. 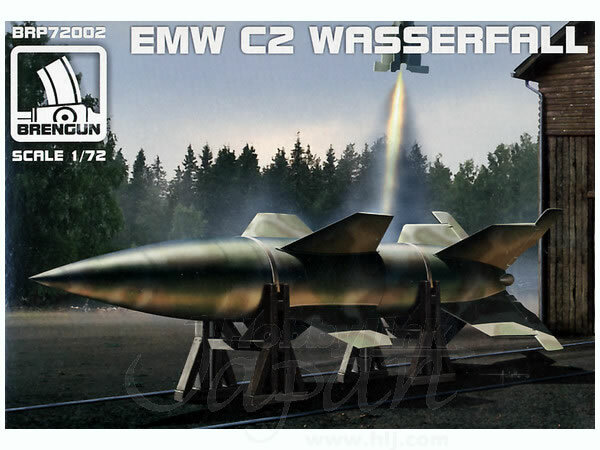 The Wasserfall was a late-WW2 German guided ground-to-air anti-aircraft missile, and is generally regarded as being the first of its kind. It never progressed beyond the developmental stage, and it seems fair to say that rocket technology was ahead of guidance technology at the time. After all, a Manual Command to Line Of Sight (MCLOS) system might be fine for 1-3 km anti-tank weapons, but it stretches things a bit to hit a bomber at 26,000 ft flying at 250 mph. The nighttime version was to again be manually steered, but using a radar screen. The Wasserfall was a revelation to both the conquering Western Allies and the Soviet Union. As such, it influenced many early US and Soviet anti-aircraft missiles, as well as missiles intended for other purposes. More lengthy accounts of this groundbreaking design are readily available after a quick web search. This is Brengun’s second injected kit, and follows on from their Ba 349 Natter. The kit comes in an end-opening box with artwork on its front and a painting and markings guide on its rear. The instructions have a parts map and use a diagrammatic format that is easy to follow. There are no written instructions, but then none are required, so simple is this kit. There is a brief history of the Wasserfall in Czech and slightly broken but still understandable English. Paint colours are given in Czech and English, and cross-referenced to RLM codes where applicable. The parts come enclosed in a zip-lock bag, with the resin and PE parts further enclosed in a small bag of their own. This is a typical Czech limited run kit. To compare it to a better-known brand I would say it is about on par with say Special Hobby. It has cleanly moulded parts with fine surface detail. Parts break down is logical. 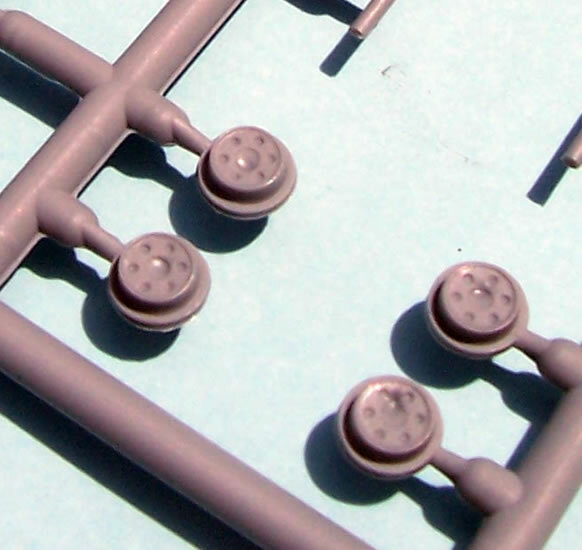 The sprue gates are narrow, and the parts are virtually flash-free. The resin and PE are also of good quality. Assembly of the kit is very straightforward. 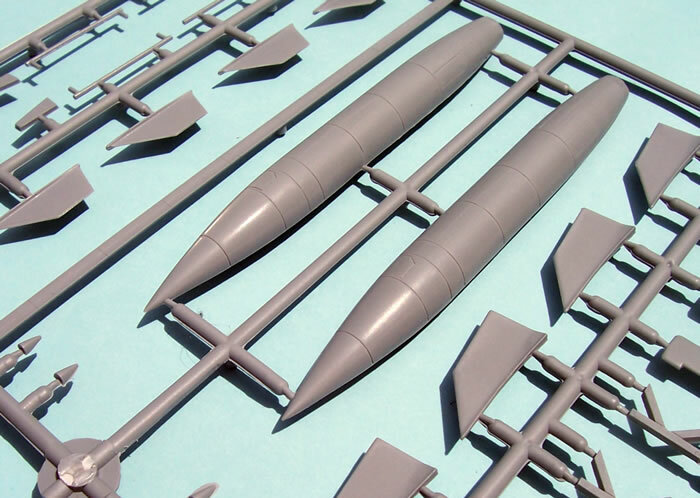 There are two missile fuselage halves to which the various fins and four cone-shaped fairings are attached. Possibly more work is involved with the launching trolley. This a cruciform base made of five parts tow which four side rails are added. 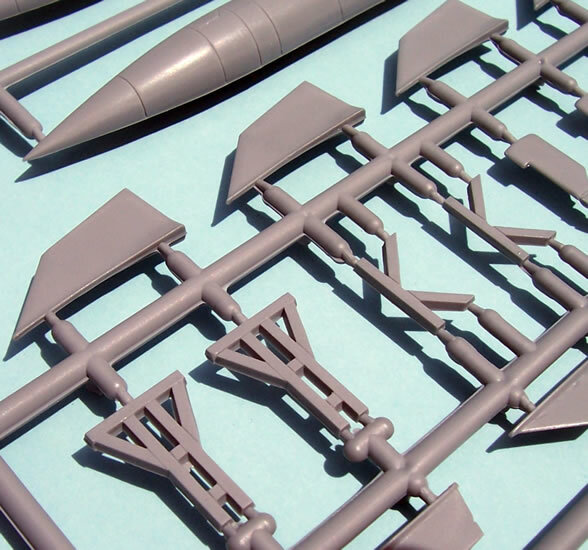 There are four small railroad wheels to fit and a folded PE support ring that the missile sits on. 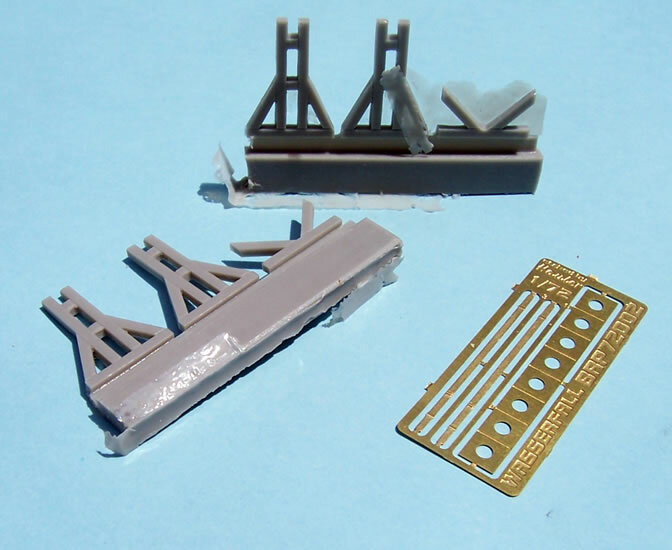 The trolley rode on rails, but none are provided, unlike with Brengun’s 1/144-scale resin Wasserfall kit. (See here for video clip of a Wasserfall being rolled out for launch). 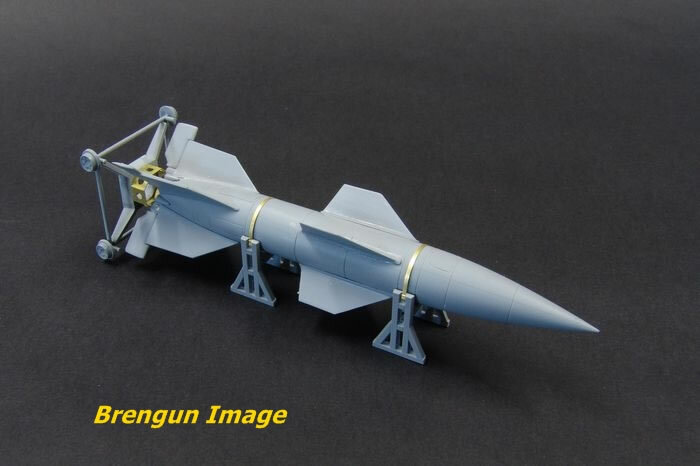 Also provided are two resin trestles with PE retaining straps that enable the missile to be displayed horizontally as depicted in the box-art. Overall, I think this should be a simple and enjoyable kit to build. 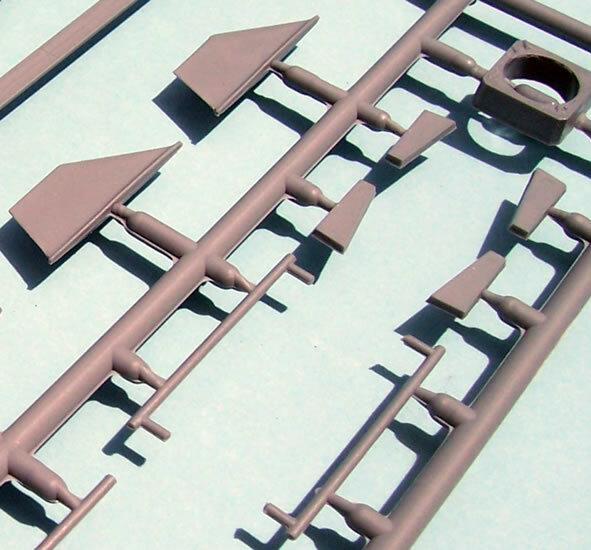 I have included images of the assembled but unpainted model from Bregun’s website with this review. 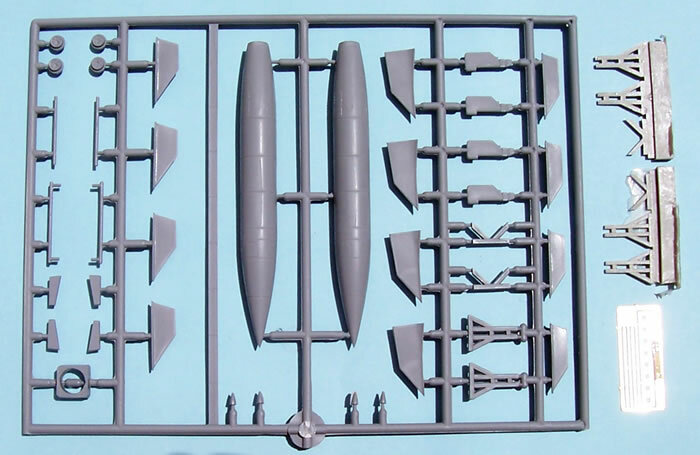 The kit offers four colour scheme options all without decals as presumably none are needed. The colour schemes cover a prototype, and three different “production” schemes, one of which has disruptive camouflage. 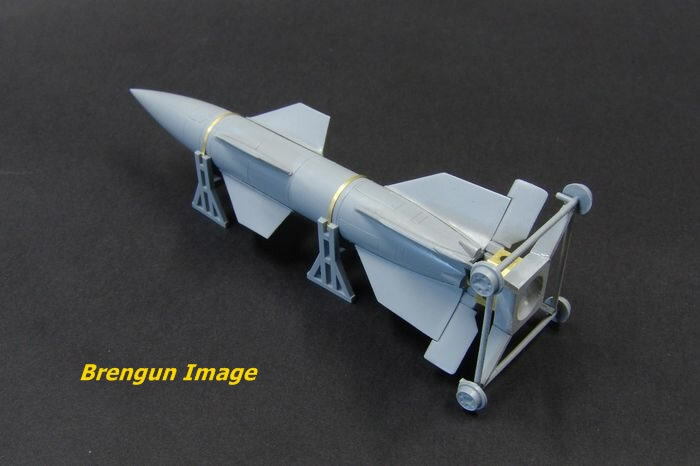 This type of kit is rare in any scale, although Planet Models offer a 1/72-scale resin kit that costs about four times injected kit’s price, so SAM aficionados are sure to welcome this one by Brengun. It is their second effort at an injection-moulded multi-media kit, and it is a good one. I definitely recommend it.